When I was new to computing I always used to think that offices or other workplaces , how their computer works fine and smooth without clean installation ? Actually I used to think , in order to get good , error free , fast and smooth system performance , clean installation at least once in a week is must . Well it was not a big issue for me but clean installation is always a big and time consuming problem for offices or any workplace. Sorting out all necessary settings , installing all needed programs etc. , all this demands lots of precious time . Whenever I remember those old days I always laugh at my simpleness , I did not know that a good and reliable registry cleaner can easily solve slow system speed and performance problem without performing clean installation . Though it has several other reasons such as viruses , malware , spyware , unnecessary programs and applications and as well as it might happen because of corrupted hard disk , but mostly registry errors cause to slow system speed and performance problem . Despite of having a high and latest system resources , you face this problem then you need a good and reliable registry repair or registry cleaner software . Luckily I found a premium or paid registry cleaner or registry repair program to share with all my respectable readers . 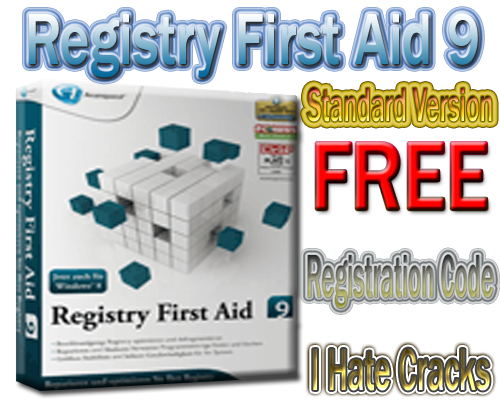 Today’s gift is Registry First Aid 9 Standard Version from Registry-repair-software.com . The very first worth mentioning thing you will find in Registry First Aid 9 after its installation , Its interface is so much user friendly and easy to use . Beginners and expert both computer/laptop users easily can use it . 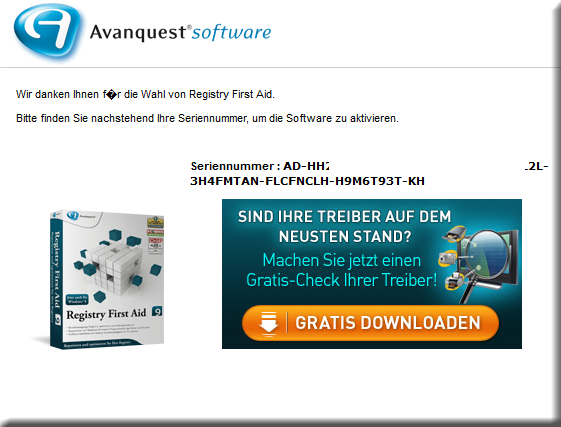 Registry First Aid 9 is in real means like a first aid for your computer/laptop . Registry First Aid scans deeply and wisely corrects registry errors. Without messing with important and basic files . If in a case something goes wrong then its backup feature helps you to recover all important and basic files but it happens rarely . Registry First Aid 9 tunes up your computer/laptop speed and performance by optimizing and defragmenting all registry items and prevents future problems . It has another a cool feature which makes it more useful , Registry First Aid 9 scans registry for orphan file/folder references, invalid font references, obsolete Start Menu items, invalid fonts, shared DLLs, application paths and more Registry First Aid detects these files or folders on your drives that may have been moved from their initial locations, and then corrects your registry entries to match the located files or folders . Quickly finds these files or folders on your drives (if they moved from initial locations). Scans the registry for invalid or bad entriesFor more information please visit the Homepage . 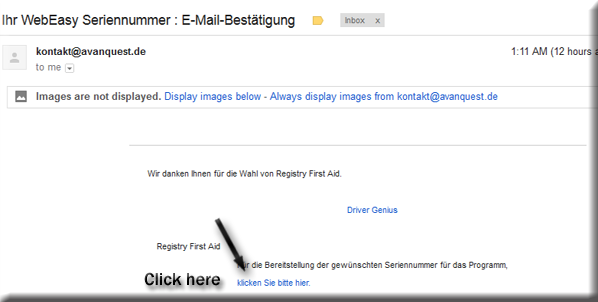 Getting a free registration code to activate Registry First Aid 9 (Standard Version) is a little bit difficult because Giveaway page is in German language therefore you will have to use Google translator or as well as you can follow these screenshots . 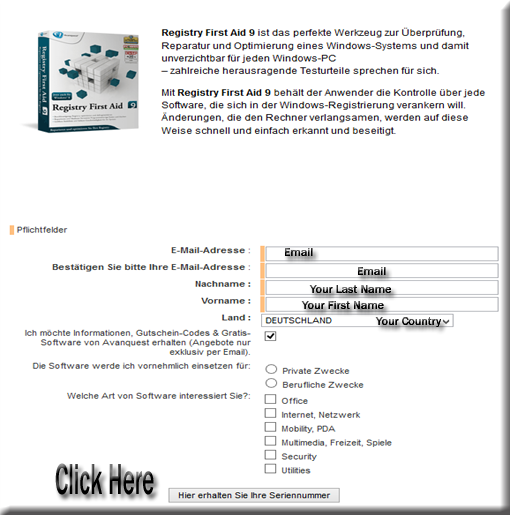 Download Registry First Aid 9 (Standard Version) from here . Complete the confirmation process by checking your mailbox . After clicking the confirmation link , in next tab you will find a registration code . 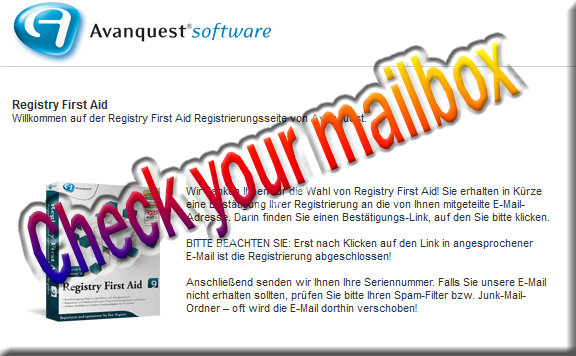 as well as you will be sent your registration in your mailbox .